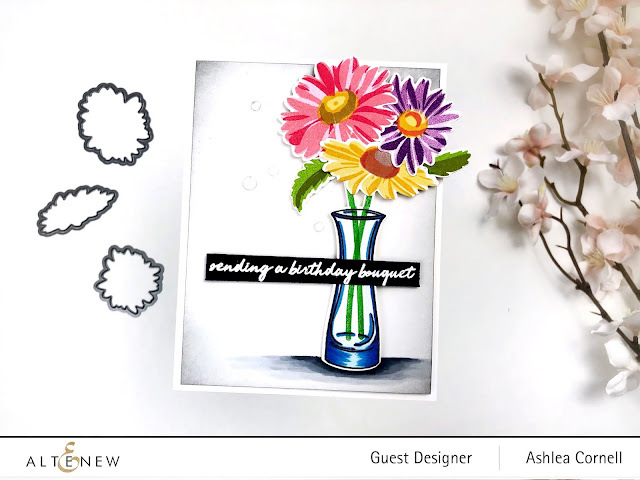 If you'd like even more information, check out the Birch Press Designs blog HERE for the full coordinating blog post that goes along with the video! Thanks so much for coming by and I'll see you again very soon! Hello everyone! I'm thrilled to be on the Birch Press Designs blog today with my newest video featuring how to create 4 beautiful cards with just 2 dies. Check out the video here! You can also see the full coordinating blog post at the Birch Press Designs Blog HERE. Thanks so much for stopping by today! See you very soon! Hello all! I can't tell you how thrilled I am to be joining the 2nd annual Cutest Video Hop Ever with my daughter Chloe, Emily Leiphart and 12 of our crafty friends and family members. 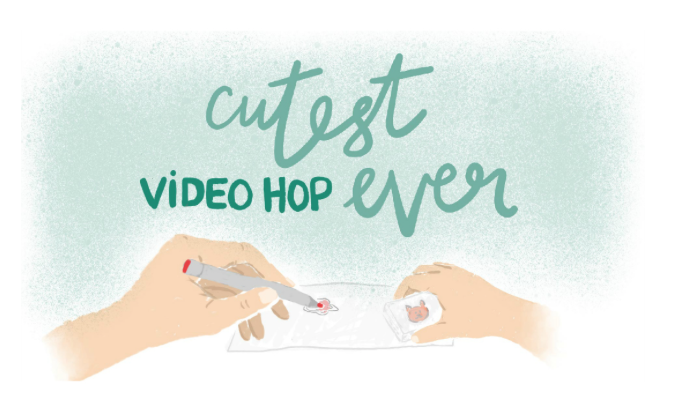 We had the best time creating together and Chloe is overjoyed to be debuting her first crafty video! 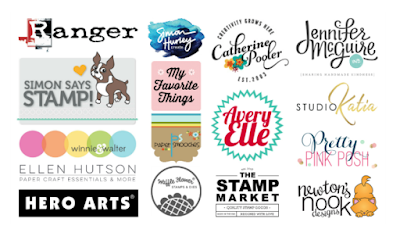 Be sure to leave a comment for your chance to win one of over 30 prizes from our incredibly generous sponsors. Check out the list below. But first, lets get to Chloe's video! I know I'm a bit biased but, is she just the CUTEST or what?! Anyway, let's get to the list of our sponsors and the prizes they are so generously donating. It's almost time to hop! All you need now is the list of hoppers. 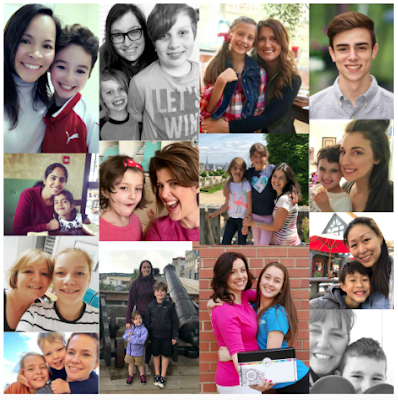 Don't forget to leave a comment on each of the videos so that you're entered to win! Thank you so much for stopping by. I'll see you again soon! Hi everyone! Thanks so much for coming by my stop on today's Celebrating Parents blog hop. 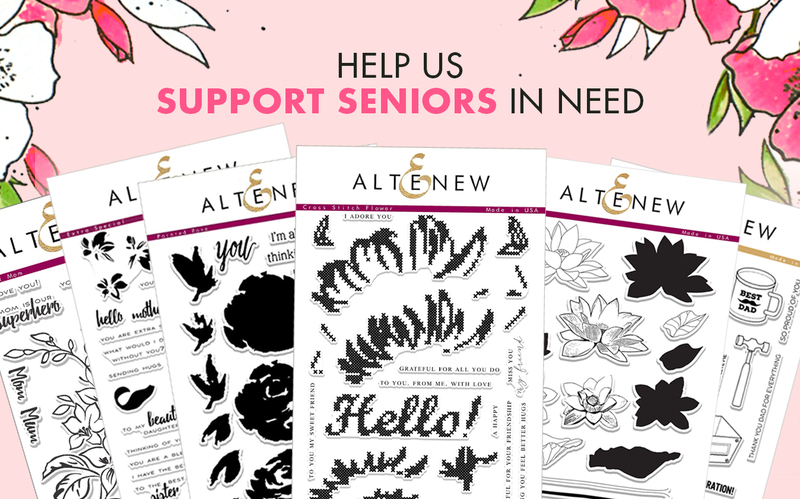 Altenew has put together a card drive to show love to seniors in nursing homes and shelters during the upcoming Mother's and Father's day season. 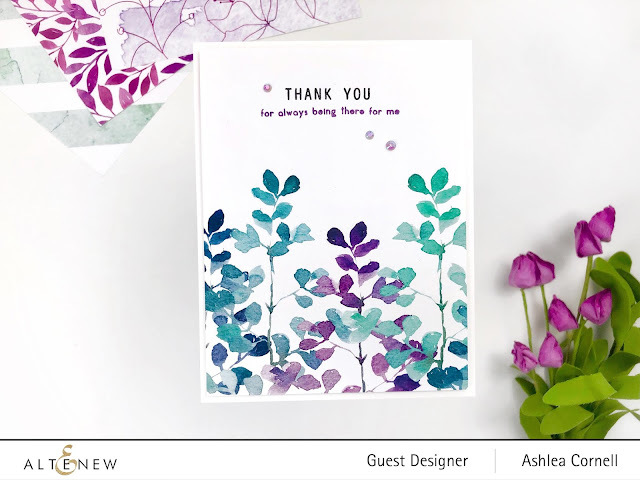 It can be an especially difficult time for those people and receiving a handmade card can lift their spirits and help them feel loved. 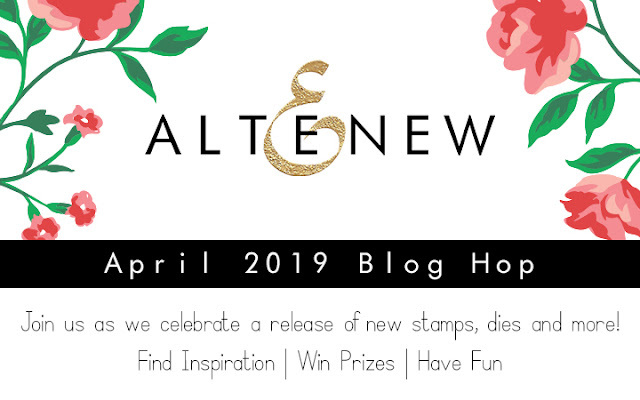 Please visit the Altenew Card Blog HERE for more information on how you can donate cards for the drive and win one of FIVE $30 gift certificates to the shop! 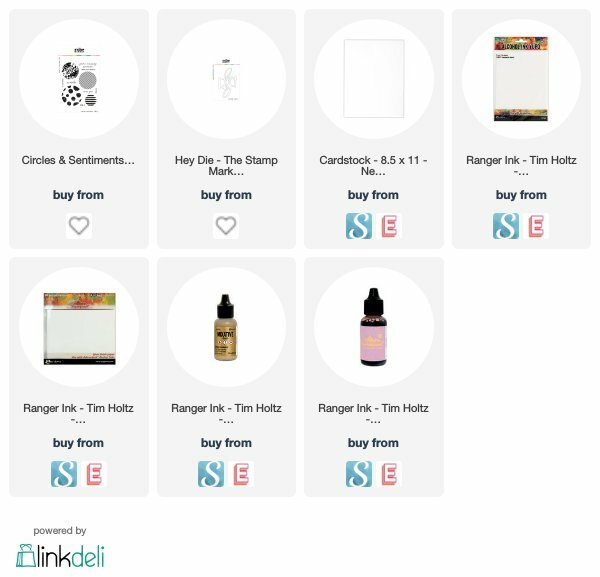 There's more ways to give back as you shop, as well. More on that later. 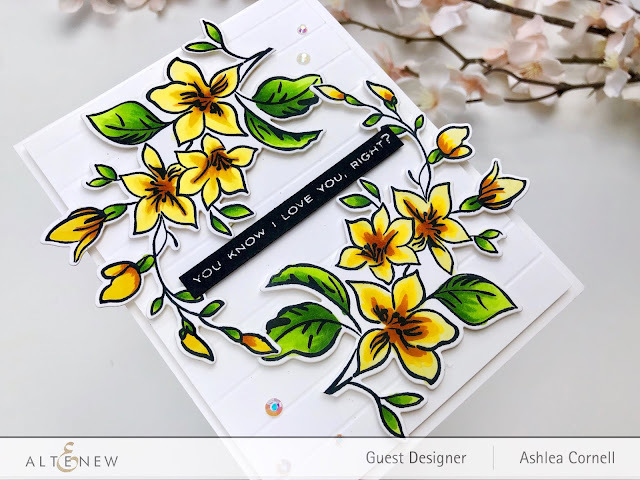 For my project for the Celebrating Parents card drive, I created this bright and simple wreath card using the Best Mom stamp and die set. I love how the floral image in this set is loose enough to let the creator decide how intricate they'd like their coloring to be. I used some bright yellow colors and an orange-brown color for the center of the flowers. 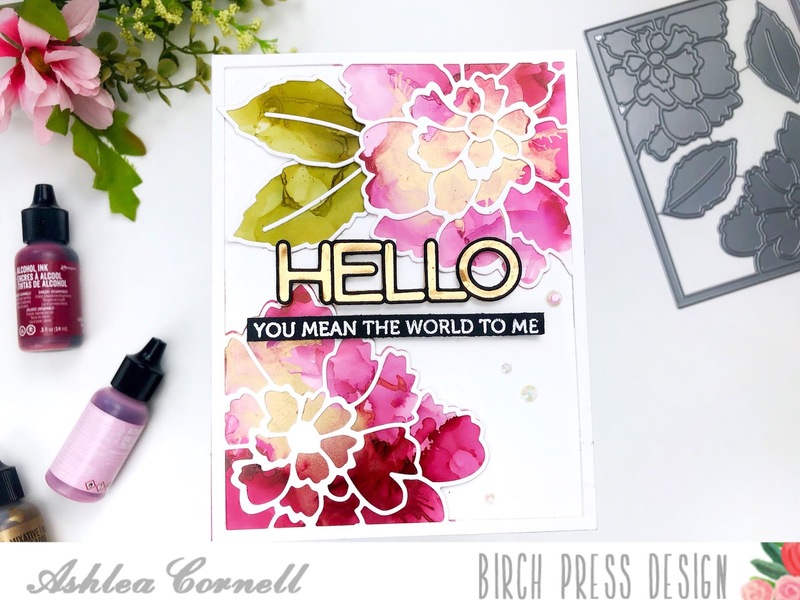 I stamped and colored this floral image twice and used the coordinating die to cut them out. I quickly noticed that I could create a wreath by matching the ends of the two images together, and simply snipped off the very bottom of the stems to create a more cohesive circle for my wreath. 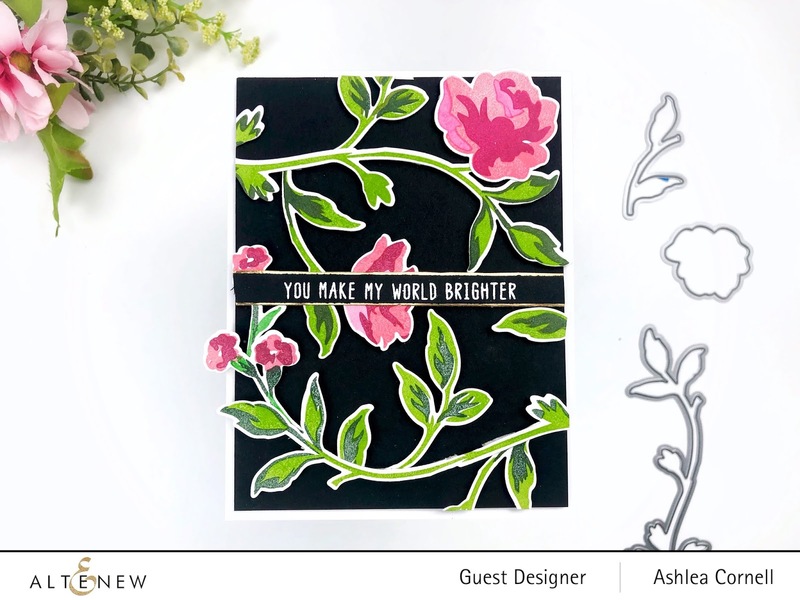 One of my favorite parts of this stamp set are the sentiments. 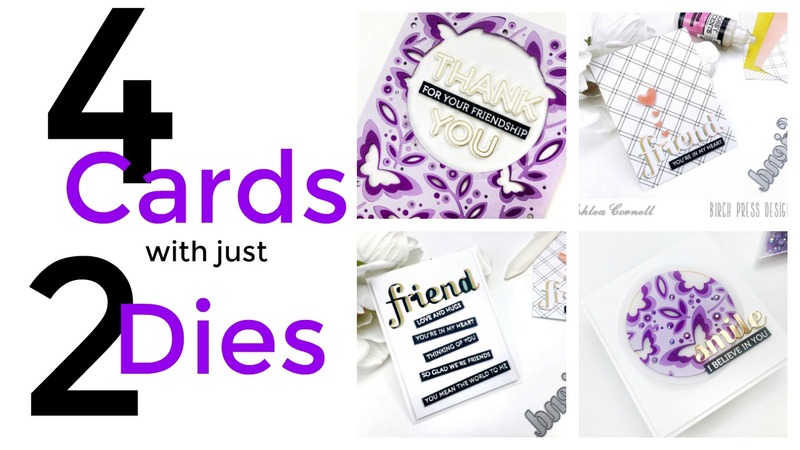 They're sweet but also real, with fun quips like "I miss your food" and "Super Wife, Super Mom, Super Tired". I decided to use the sentiment "You know I love you, right?" and I embossed it in white on a piece of black card stock. Before adhering all of the elements onto a piece of 4" x 5 1/4" card stock, I scored some lines every half inch all the way down the card front. This adds lots of dimension and interest without adding color or too much detail. 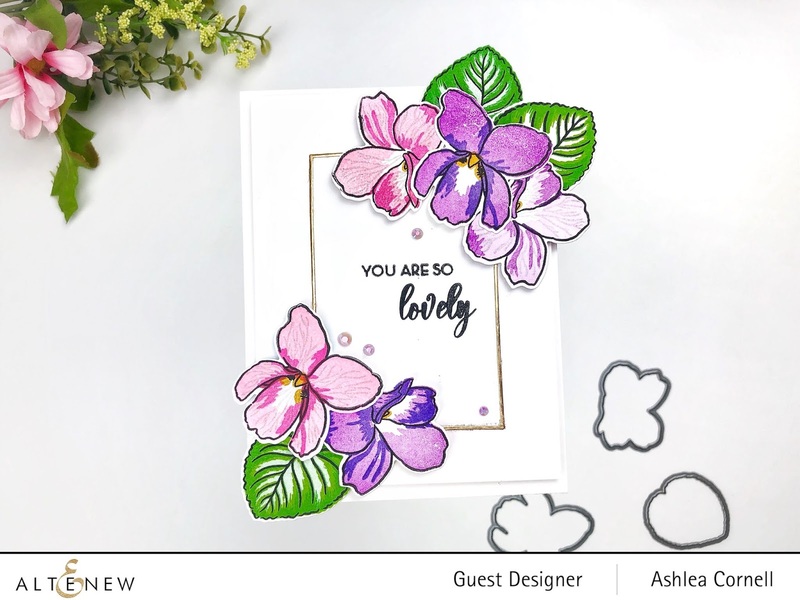 I love using this tip for clean and simple cards like this one. I adhered the floral images with foam tape and well as the sentiment to the center of the wreath. I used foam tape once more to adhere the card front to an A2 sized base and added a few gems to give it a little sparkle. Now for the super exciting part! Shopping. 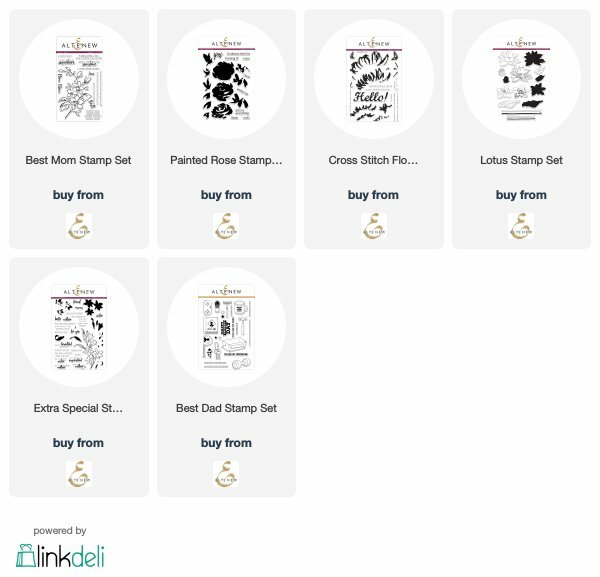 20% of the profits from the stamp sets linked below (including Best Mom which I used for my project today) will go to the Food Bank of Central New York to help support seniors in need. If you've been waiting to treat yourself, now is the time! Thank you so much for stopping by! 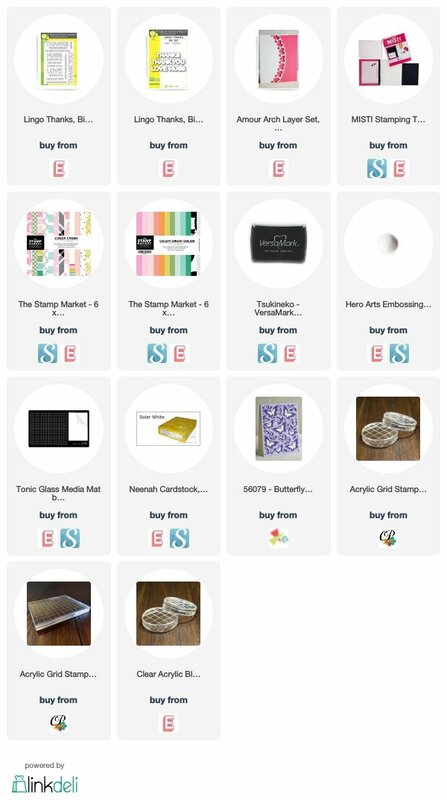 I hope you'll participate in the card drive and maybe treat yourself to a stamp set or two and give back in the process. I'll see you again very soon! Anna Komenda - Go here next! Hello there! Welcome to my stop on the Altenew Build A Flower Sweet Violet release. You should have gotten here from Laura Jane. If you're lost and haven't been through the entire hop, be sure to go back to the Altenew Card Blog to start from the beginning. A very good place to start. 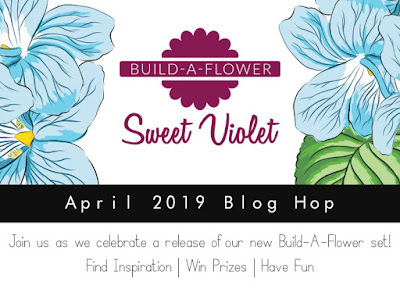 Altenew will be choosing a random commenter from each blog on the hop to win a $15 gift certificate to the shop, so be sure to leave a comment! 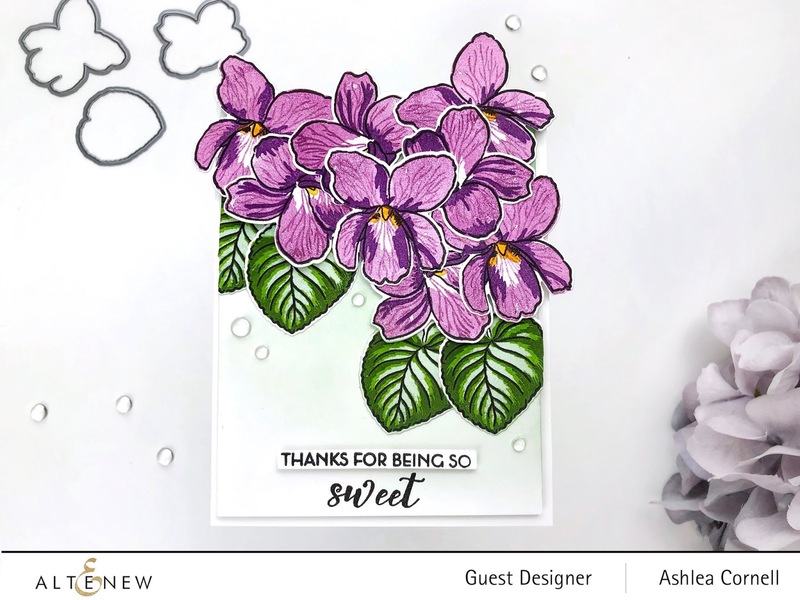 Here are a few other cards I created using the Sweet Violet set. 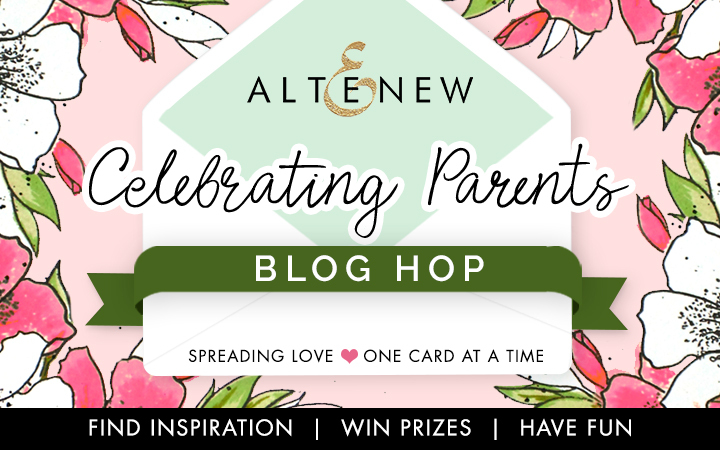 Don't forget to leave a comment for your chance to win a GC to Altenew. Thanks so much for stopping by today! I'll see you again very soon! Hop on over to Therese Calvird to continue the hop! 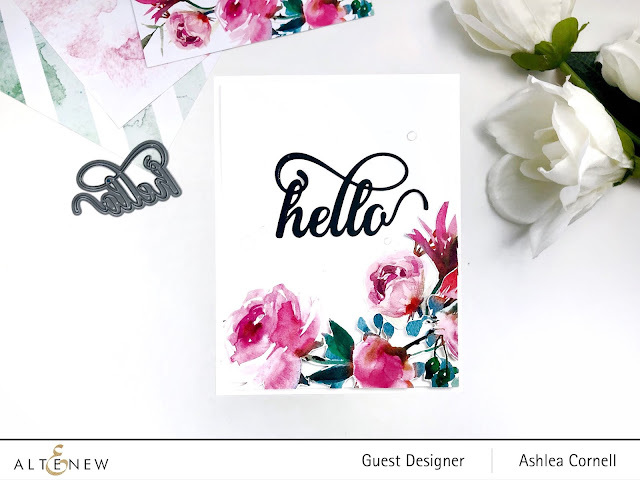 Ashlea Cornell - You Are Here! Therese Calvird - Go Here Next! Links Provided are affiliate links which, when purchased through, earn me a small commission at no cost to you. Please consider shopping through my links to help support my YouTube channel and blog. Thank you! 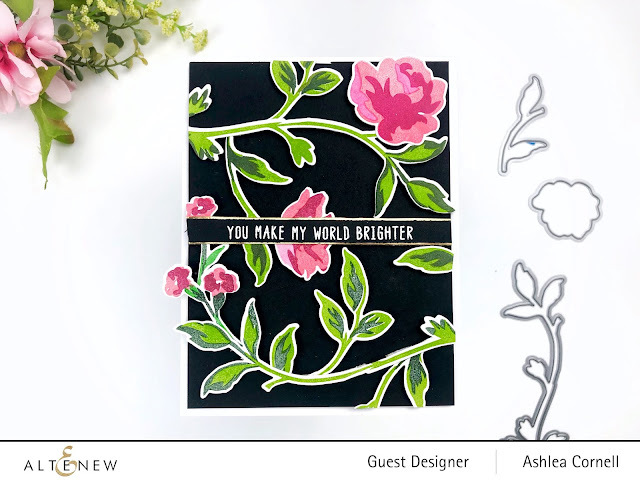 I finished off both of my cards today with the new "hey" die from The Stamp Market and also the sentiment "I think you're fabulous" from the Circles and Sentiments stamp set by The Stamp Market. 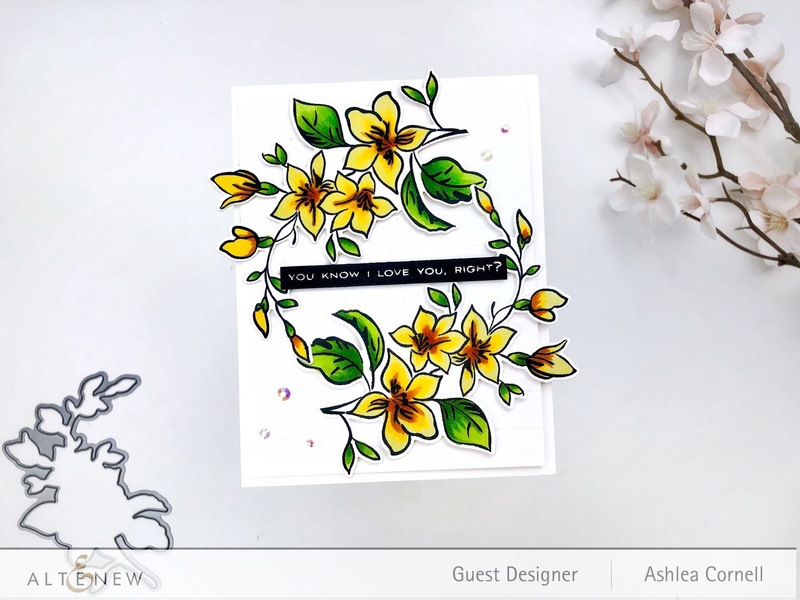 I'd love to know which card stock you prefer to use on your alcohol ink projects! Thanks so much for stopping by. I'll see you again very soon! Links provided are affiliate links which, when purchased through, earns me a small commission at no cost to you. Please consider shopping through my links to help support my Youtube channel and blog. Thank you!